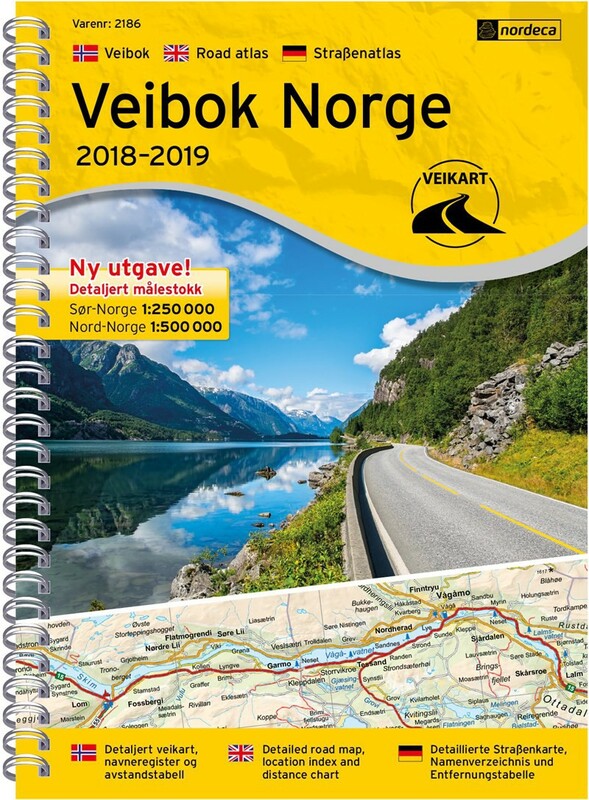 Norway Road Map 1: 500,000 with plans cities and towns. Road atlas of Norway. Scale 1:250 000 and 1:500 000. Includes plans of towns and cities: Oslo, Bergen, Stavanger, Trondheim. This map includes a index with the names of cities and a distance chart. Languages: Norwegian, English. Atlas ideal for planning a trip and travel to Norway.